“There is of course freedom of the press in Ireland, if you own a press.” – Tomás Mac Giolla, 1988. Throughout Ireland, workers and the young are under mounting pressure. Economic mismanagement sees the spectre of mass long-term unemployment return, while politicians force the poor to pay for the criminal activities of the rich. In the south, the answer of a speculator elite is to begin openly calling for another generation to emigrate. In the north, a ‘peace process’ solidifies sectarian division and the positions of new tribal ward bosses. But the Left has been unprepared. Where unity is needed, there is division. Where new thinking is needed, too often there is an acceptance of failed approaches. Instead of challenging the right-wing consensus, some too easily accepts its confines. 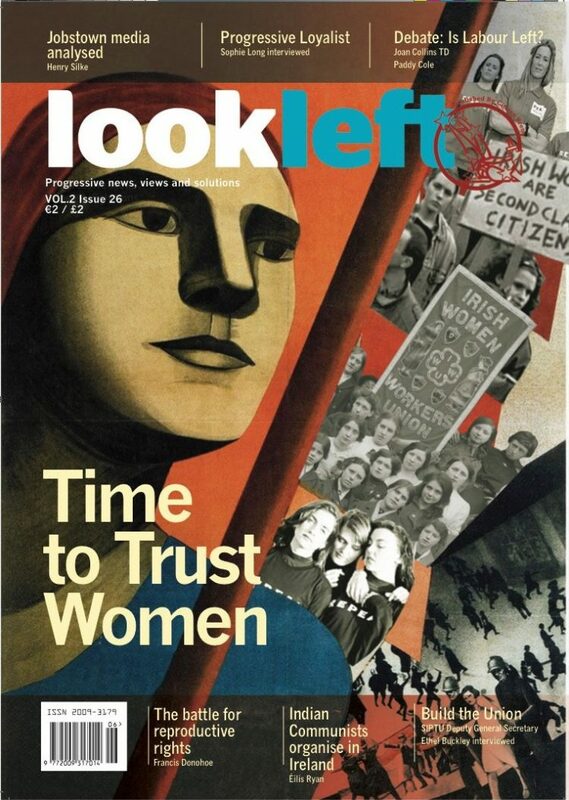 LookLeft intends to play its part countering these problems by providing a non-sectarian platform for progressive news, views and debate from working class communities and left-wing activists.